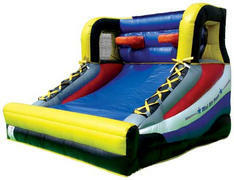 Dayton Inflatables is proud to offer carnival game rentals in Dayton, Springboro, Kettering and the surrounding areas. 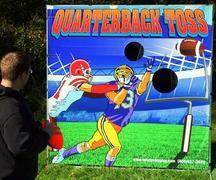 These great games are perfect for fundraisers, school field days, carnival themed events and back yard birthday parties. Our friendly, knowledgable staff can help you select the perfect combination of games, bounce houses, water slide rentals, obstacle courses and more. No carnival is complete without a DUNK TANK! Perfect for a school field day, church picnic or company event, who wouldn't love a chance to dunk their favorite teacher or boss. Our dunk tank will deliver countless hours of fun and excitement, and perfect for all types of events. While our dunk tank is a great source of fun and entertainment at parties, it is also a wonderful choice for fundraising for your charity or organization. 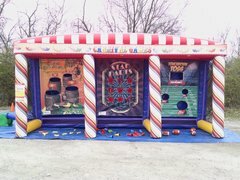 Our carnival game rentals are easy to operate the perfect addition when you're looking to add some freindly competition to your next party or event. Our GIANT 4-KONEK is a great twist on an old classic. Standing over 3 feet tall, your guests will enjoy countless hours of fun, challenging each other to see who will be the first to get 4 in a row. Also, CHECK OUT OUR MINI GOLF. Choose from 3 different holes or rent all 3. That's right! 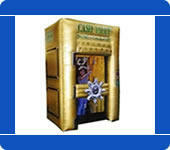 Dayton Inflatables will deliver this classic game to your next party or event. 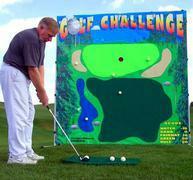 Our mini golf rental is the perfect choice that is perfect for anyone from 3 to 93. Lets be honest. Who doesn't love a great round of mini-golf? When it comes to the best selection of carnival game rentals, nobody comes close to Dayton Inflatables with selection and service. We proudly serve Dayton, Springboro, Kettering and other surrounding areas. 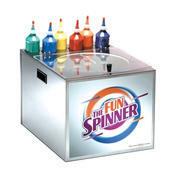 Our carnival games will provide hours of fun for your guests. Browse the selections below and click the image or title for more information and to request a quote. We welcome all questions, so please contact us for inquires and orders.